A groundbreaking ceremony will be held tomorrow to celebrate the start of civil engineering work for a major upgrade to the Large Hadron Collider at CERN in Geneva, Switzerland. When complete, the High-Luminosity LHC (HL-LHC) will produce five to seven times more proton-proton collisions than the currently operating LHC, powering new discoveries about our universe. For the last decade, scientists, engineers and technicians from the U.S. Department of Energy’s Fermi National Accelerator Laboratory have been working with partners around the world to conduct R&D on new accelerator components that would make operations at the HL-LHC possible. The U.S. research was conducted via the LHC Accelerator Research Program, or LARP. Now the research turns into reality, as construction of the new components begins. The primary components contributed by the United States for the HL-LHC construction are powerful superconducting magnets and superconducting deflecting cavities, called crab cavities of a novel compact design never before used in an accelerator. In the LHC, superconducting quadrupole magnets focus the beams into collision at four points around the 27-kilometer ring. In the HL-LHC, these focusing magnets must be more powerful to focus the stream of particles much tighter than in the LHC. 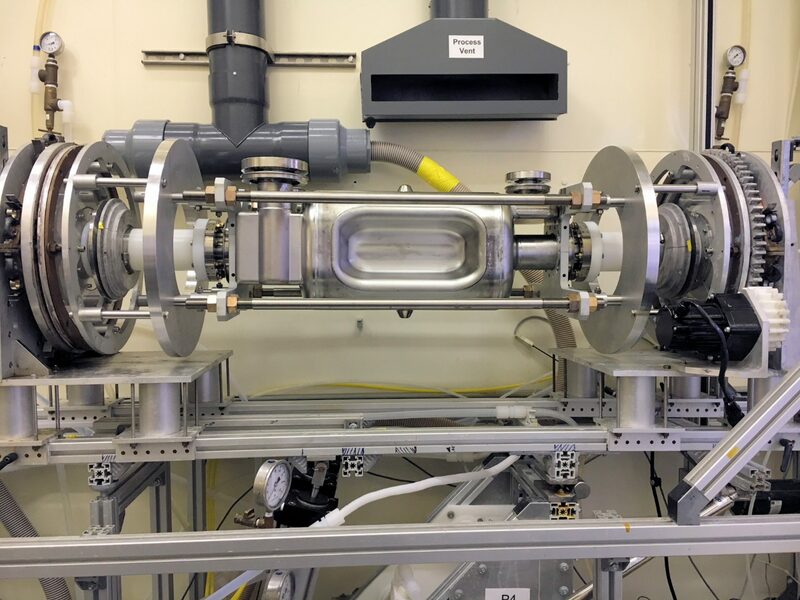 Fermilab, in collaboration with DOE’s Brookhaven and Lawrence Berkeley national laboratories, developed the basic technology for these new magnets through LARP. The final design was completed in collaboration with CERN for application in the HL-LHC upgrade. These new magnets are made of a niobium-tin alloy that allows the magnets to reach the desired high magnetic field of 12 tesla. This powerful field is created by running a very high electric current through coils of superconducting wire, which conduct electricity without resistance when cooled to almost absolute zero. Fermilab is the lead U.S. laboratory for this project and is fabricating half of the coils and conducting the final assembly and testing of 11 full cryoassembly magnet structures before shipping them to CERN. 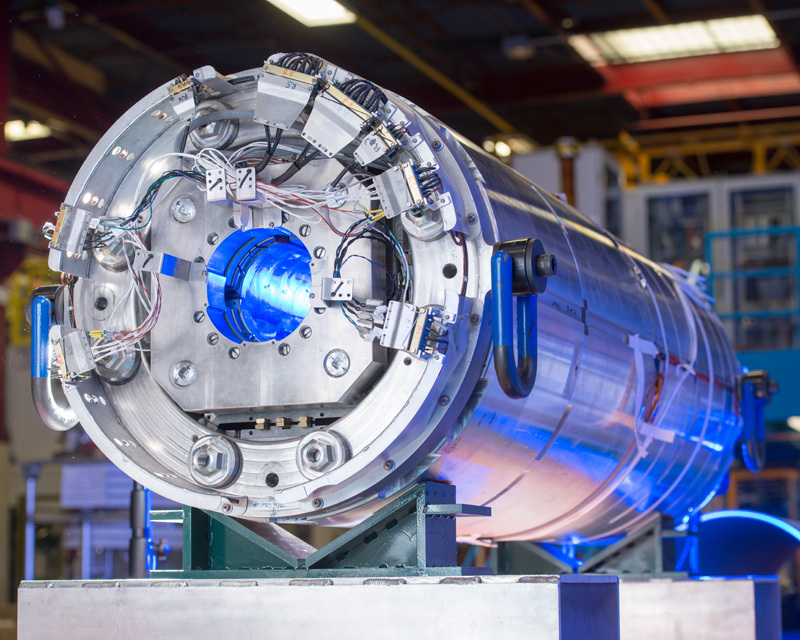 The U.S. in total is delivering half of the quadrupole magnets for the upgrade, while CERN is completing the other half. In addition to the magnets, the United States will deliver half of the crab cavities to CERN for the HL-LHC, while CERN completes the remaining cavities. The cavities to be produced in the United States are of a radio-frequency dipole (RFD) design and are the product of more than 10 years of research through LARP by Old Dominion University and SLAC National Accelerator Laboratory, with contributions from Thomas Jefferson National Accelerator Facility and U.S. industry. Fermilab will be responsible for fabricating and testing the RFD cavities before delivering them to CERN. These novel cavities will kick or tilt the beams just before they pass through each other to maximize the beam overlap and therefore the possibility of proton collisions. Once it’s up and running, the HL-LHC will produce up to 15 million Higgs bosons per year, compared to the 4 million produced during the LHC’s 2015-2017 run. The higher luminosity will mean big changes for the LHC experiments as well, and the ATLAS and CMS detectors are undergoing major upgrades of their own. Learn more about Fermilab’s contributions to the HL-LHC upgrades to the CMS detector.